Whether it’s watching folkloric dance from Israel, Finland, or Belize; or finding out what exactly makes up German cuisine; cultural representatives from all over the world are taking over the Historic Center of Mexico City — and in other venues spread around town — in the 8th annual La Feria de las Culturas Amigas. The event offers visitors a chance to experience a wide variety of traditions, food and music from different countries. At the fair, each country has a designated stand, where representatives provide traditional products from their corresponding region, such as food, books, art, clothing, and the occasional freebie. Each year, the festival has a special guest country. This year, Mexico welcomes France as the special guest, to commemorate 190 years of diplomatic relationships between the two countries. 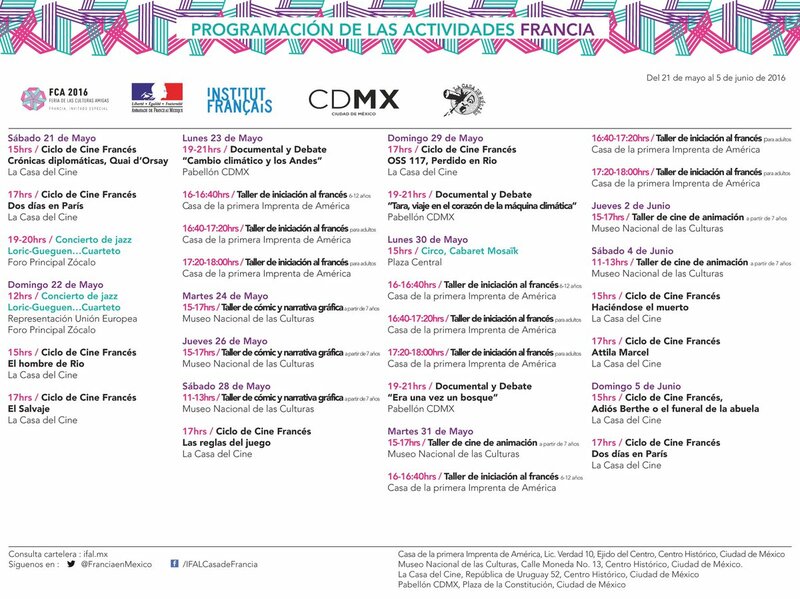 The French Embassy in Mexico tweeted a schedule of their events at the fair. The first edition of La Feria de las Culturas Amigas (The Festival of Friend Cultures), one of the most important international events in Mexico City, was held in 2009 as a collaboration project of the Mexico City Foreign Affairs General Coordination. Since its inception, it has been successfully executed for eight consecutive years, each year with increasing participating countries and visitors. Now, in its eighth year, it is more popular than ever, expecting to surpass last year’s figure of over 3 million attendees. 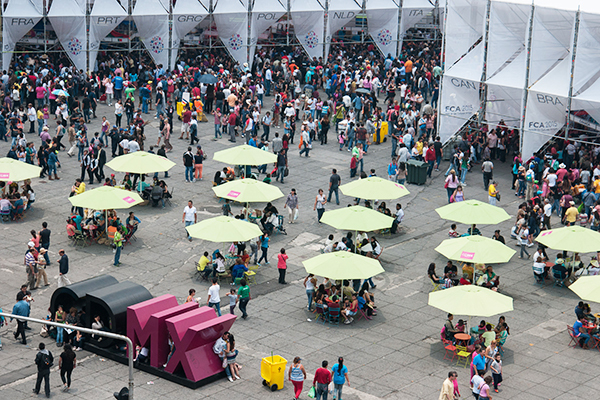 The first five editions were held on Paseo de la Reforma, but beginning in 2014 the festivities were moved to the Zócalo due to the annual increasing attendance. Not only did the number of visitors increase, but the number of participating countries also grew. In its first year, the fair had just 50 participant countries. Six years later, in 2015, this number almost doubled with 94 countries. Apart from the culinary experience, the festival also offers workshops and other events, like conferences, traditional dances, music and films. Many events are held at the Zócalo, but there are also events at the Museo National de las Culturas, Colegio de San Ildefenso, Casa de la Primera Imprenta de América and the Casa del Cine. For a full schedule of events, visit the festival’s official webpage. The festival will hold events every day until Sunday June 5.